Today marks the first Sunday of Advent, traditionally a period of penitence and preparation for the coming of Jesus Christ. Christmas is a time of great celebration but its true meaning has been lost in the tat, materialism and individualism of the modern world. Christianity is ultimately humbling – we believe, after all, that we needed saving – and this contradicts an age of selfies, self-aggrandisement and self-promotion. Rousseau propagated the notion of the ‘the noble savage’, that people are essentially good and it is civilisation and socialisation that corrupts us and causes the chaos seen in the world. This disagrees with the Christian view of humanity: that we are fallen, but good, and it is our nature that makes us sin which is why we need Christ. It seems Rousseau’s view of humanity has prevailed, with the slavish devotion to any impulse and desire that passes through us. Of course we all have needs, vital needs essential to our well-being and survival, but how easy the line between wants and needs is muddied. Someone may want to divorce their partner, but with a quick dabble in Freudian psychoanalysis, and an article about the oppressive nature of marriage, suddenly this has become a need, a necessity to their well-being and survival. No surprise, then, that Christ is ignored during Christmas when His message is antithetical to the philosophy of the age. For not only does He humble us, He also redeems and saves us, and this message of hope is similarly shunned. Although back in 2011 Cameron believed Britain was a ‘Christian nation’, in practice it isn’t at all. No wonder so many struggle with mental health when they believe their life has no meaning, purpose or function other than the fulfilment of their desires. Anyone who has spent time as a conscious human being will know that our desires are fleeting, irrational and often lead us into disarray. The consensus now is that we are apes on a rock, the world was created out of thin air and there is no meaning to life other than the one we create. These are all beliefs, not facts, that require just as much faith as it does to believe in God – perhaps more so. As Christmas comes into view I will be thinking of this, trying to remain hopeful and optimistic and remind myself to have charity and sympathy for those who do not have the light of Christ in their lives. I will also be getting on my knobbly knees and thanking God for all the beautiful things in my life, including The Conservative Woman and all its erudite and thoughtful readers! 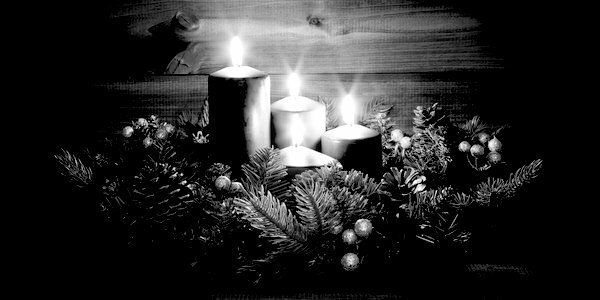 God bless and have a good Advent. Next articleJeffrey Archer, a John Wesley for our time? London-based writer who has written for spiked-online, the Huffington Post, Private Eye and the Daily Mirror, amongst others.